Russia has powerful undersea hybrid warfare capabilities, American writer and filmmaker Steve Weintz reveals. During the Cold War the USSR had developed its own clandestine underwater systems — nuclear powered mini-subs — following in the footsteps of the United States; contrary to all expectations, these systems survived the collapse of the Soviet Union and even received further funding during the 1990s, American writer and filmmaker Steve Weintz points out. In 1968, the US created the NR-1, a nuclear-powered four-man mini-sub, which was able to dive over 3,000 feet and stay underwater for weeks. It was "a marvel of American ingenuity," Steve Weintz underscored. These clandestine underwater systems were considered crucial for undersea warfare. "With its primacy in titanium metallurgy and skill in nuclear technology, the Soviet Union built several competitors to the NR-1. The Russian Federation inherited these assets along with the Ministry of Defense branch (GUGI, or Main Directorate Deep Sea Research) that supervised those programs," the writer pointed out in his article for the National Interest. "Even as the United States lost the NR-1's capabilities to retirement, Russia bolstered its deep-sea… activities," Weintz underscored. The writer called attention to the fact that in 2012, Russia's deep-sea research underwater vessel placed a Russian flag on the ocean floor some 13,200 ft below the North Pole. "The "research sub" was in fact one of Russia's secret deep-sea assets, the nuclear-powered mini-sub the Losharik," Weintz noted. "No other submarine is the subject of so much speculation and interest as the elusive and Top Secret Losharik (AS-12). She is a deep-diving special missions /engineering boat (read 'spy sub') operated by the Russian Navy on behalf of GUGI (Main Directorate Deep Sea Research)," a naval blogger, cited by Weintz, suggested. The US author emphasized that with the Losharik and the Nelma minisubs and bathyscaphes Rus and Consul, the GUGI operates the world's largest manned deep-sea fleet. 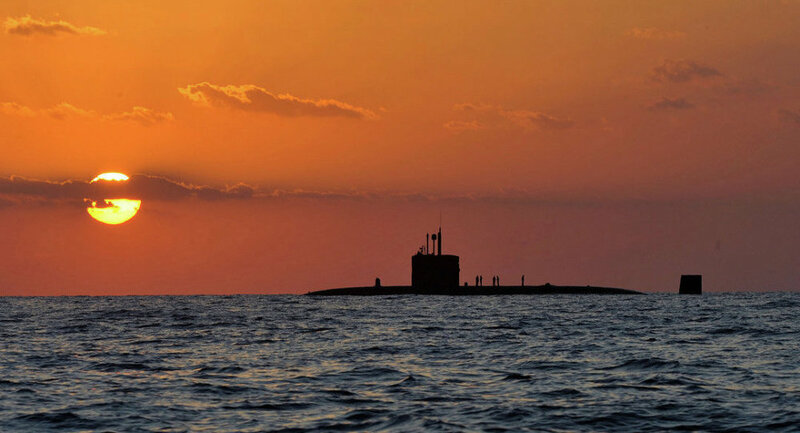 "Combined with its growing submarine-rescue fleet and Naval Spetznaz outfits, Russia now fields a very powerful undersea hybrid warfare capability," Steve Weintz elaborated. "Let's hope the US Navy is on the case," he added.